We are a family owned full service glass shop. Burkey Glass has been serving West Michigan since 1946. 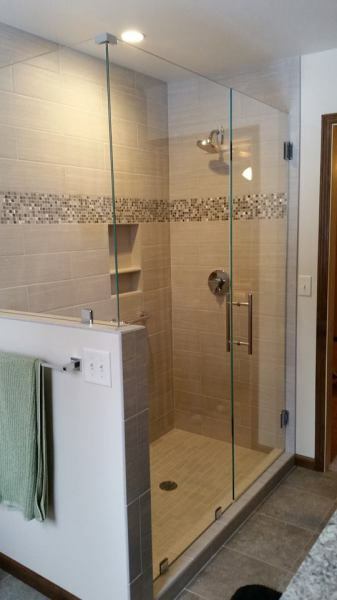 We specialize in auto glass, shower enclosures, glass railing, residential and commercial glass, flat glass, mirrors, table tops, screen and storm window repairs, and commercial store fronts. We strive to keep the reputation Paul and Floyd built back in 1946. 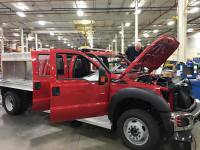 We treat your vehicle, home, or business like it was our own! 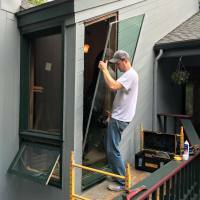 Burkey Glass can fix insulated glass in almost every type of application. 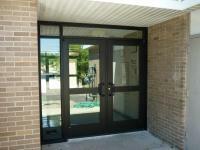 Weather it be residential or commercial Burkey Glass has the experience and know how to get the job done right. We can match just about any glass that is still available. We can even match Anderson insulated glass! Storefront construction and commercial door glass replacement or repair are just some of the specialties we offer our commercial customers. When you need a storefront glass or door installed Burkey Glass are the specialist to call. 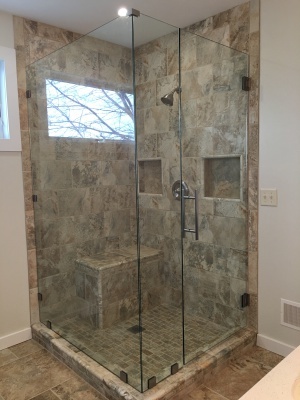 Whether you are looking for a basic framed shower door or an custom euro style glass enclosure, Burkey Glass will guide you through the entire process, design, budget and installation. Most glass can be installed in just a day. Shower Head - This sounds simple, but it can make a difference when you're planning your shower enclosure. Be sure the shower head will not spray water out the door when it is opened with the water turned on. Water should stay inside the enclosure.